Ischemic enteritis associ-ated with SLE is nonspeci?c which depends on the dura-tion of ischemia (Lalani et al. The characteristic features of this group of condi-tions are pigmentary anomalies in the skin, hair and eyes (skin hypopigmentation,white forelock and heterochromia iridum, respectively) with hearing loss of variabledegree. (2009) Vertigo and other forms of dizziness. Scott R, O’Brien R, Fulcher G, Pardy C, D’Emden M, Tse D, et al. Paincontrol is managed with either an epidural or intravenous patient-controlled analgesicpump according to surgeon preference. Rectus flap reconstruction decreases perinealwound complications after pelvic chemoradiation and surgery: a cohort study. Negative pressure wound dressingsare applied on the mesh until a layer of granulation tissue is present followed by delayedskin grafting (Figure 19-2). Theremaining are treated with a specific antimigrainedrug, i.e. Group B streptococcus in prosthetic hip and kneejoint-associated infections. As the authorspoint out, this third stage approaches the border of thedefinition of MCI, the main differential being that the sub-tle cognitive decline here may only be evident as a changefrom the individual patient’s previous level of functioningand not be abnormally below the performance of an ageand education-matched cohort. Nevertheless buy modafinil india mutations could be located withinlarge intronic sequences, promoter regions, long-range regulatory elements, ormight be present as structural variation within or outside the genes. The history department sat down and discussed the merits of different strategies for judging progress, debating whether to take a first-order or second-order concept focus having read some articles in Teaching History as a starting point to prepare us . It was during this process the team realised something that may not make us popular – we quite liked the old National Curriculum levels. We strongly disliked the way they had been abused by splitting them into multiple sub-levels or using them to judge teacher or student progress each year (particularly as expressed in the expectation that students must each ‘make two sub-levels of progress per year’). The old level descriptors were also overly complex and wordy making them extremely difficult for us to pick through, not to mention our students and their parents. Additionally, and this is partly our fault, the way they had been used in school left out reference to the necessary development and use of substantive knowledge, with our mark-schemes and our use of them tending to prioritise demonstration of second-order conceptual understandings. But on the whole we valued the second-order concept focus and the notion of using them as an overarching progress map, both for teachers and for students, akin to how they were originally intended to be before the abuse set in! As a result we were very wary of ‘throwing the baby out with the bath water’. So we have attempted to address the particular problems that we had identified with the use of the old levels system, without rejecting the positive features inherent in its structure. The second order concepts have been retained and allocated to separate columns to give clarity. Importantly though, deployment of substantive knowledge was given its own column and prioritised by positioning it before any of the second-order concepts. This was done to make it visually important to students and to highlight that effective history requires effective deployment of accurate knowledge and depth of understanding. The wording of each column took the team hours to refine to a point where we were happy with it. We sat eating our sandwiches during lunch breaks for two weeks to get it right and we are sure that this will not be the last version. With the previous levels system it often felt like ‘the tail was wagging the dog’, as assessment was often driving practice. However, we wanted ‘the dog to wag the tail’ with the knowledge of what we knew worked well in the classroom and what makes good history used to inform our creation of the assessment system. As a result, the progress map is far more organic than a rigid handed-down system. It works for us, but we recognise that it may not work for you. In the same way that when we had read Alex Ford’s article last year;  we doubted that it would work for us but know it works brilliantly for him. During these discussions we wondered about whether to cut ‘change and continuity’ as we will admit that at Redland Green it is the least explicitly taught concept. However, we all agreed that it was a fundamental concept that is explicitly included in the National Curriculum and in the new GCSE objectives and as a result the team have now been discussing how we can build in more lessons to Key Stage 3 to properly address this limitation in our schemes of learning. Significance may also appear curious to some. In our lessons we have attempted to use Counsell’s 5 Rs  but we confused the students (probably our teaching rather than Christine’s theory!) so the significance column is really a hybrid of significance, importance and consequence using the model that Richard had been using in the Hodder Making Sense of History KS3 textbook series. Arguably, the process of producing this document was more important than the outcome as the hours of discussion mean the department now shares a very clear idea about what progress in history means to us. This progress map will now be used to inform and guide the creation of the individual mark schemes for the three official extended assessments per year that school require us to produce. We have begun this process with a Year 9 piece on interpretations of life in East Germany using the wording from the map as a starting point but adding specific and particular criteria for the assessment. As we initially use the progress map it has quickly become apparent that it needs tweaking, that it is provisional and will need to be constantly revised and changed unlike the old levels which we were burdened with. Although we will readily admit that what they have got is not perfect and does strongly resemble the old National Curriculum levels we believe this will work more effectively. It keeps what we valued about the old levels system but attempts to iron out some of the hugely limiting problems it hampered us with. The purpose being to create consistency across subjects for reporting. In reports once a year students will be told whether they are Core, Combine or Create (no sub-levels), although in school the teachers will record if they are secure or not in each level, students won’t receive this level of detail. The subject departments were then given the task of defining these competencies in their subject. Each was told they needed to make a map of progression on a single side of A4 that would be shared with staff, students and parents. At the link below is the presentation I used to deliver a literacy training session at St Katherine’s School, Pill. This idea continues the theme of ending Year 9 in a meaningful way by attempting to look at the big picture of what they have learnt during Key Stage 3. Yesterday I got Year 9 to look at the ‘buy modafinil paypal australia‘ of the last 1000 years. With any good story there are always characters so today I decided I would plan a lesson around individuals. I decided to nick an idea that we use in KS4 – a hot air balloon disaster. It’s not new and we nicked it from others but it works well. On each desk place one event or person or period that we you have studied in the last three years. The cards can be downloaded here (buy modafinil belgium). Students then got out of their desks and visited as many cards as they could in 5 minutes. At each they had to write down anything they remembered. I also walked around and wrote scaffolded questions on those cards that they struggled with, e.g. on the English Civil War card I wrote “who was fighting who?” This jogged their memories and collectively they remembered most of the salient points about each event. As I have explained in a previous post I am abuy modafinil chemist warehouse fanatic. I am currently designing a new scheme of work looking at the main individuals and how they helped to create the modern world. The change from the small workshop production of the early 18th century to the large factory system of the late 18th century was genuinely revolutionary and I wanted to get the students to properly realise this. I had a hunch that a role play would be the best way to do this but I struggled over how to structure it. I wanted the students to make something small and pretty to mirror the buy modafinil com that Boulton & Watt were making. I also wanted them to make something that we could then put in an assembly line to increase production and finally ‘mechanise’ to explain the importance of Watt’s inclusion. I posed this on Twitter and the best idea was to get the kids to blow up balloons first and then to do it with an air pump (buy cephalon modafinil suggested this). I liked it but I couldn’t easily do the assembly line bit and it wasn’t small enough or pretty enough. Later I asked my girlfriend if she could come up with something better and she did – origami swans. To give the kids the narrative behind Boulton and Watt show the students the 10 minute video from buy modafinil over the counterthat covers the important points. During this stage the students should be given the a template page with large squares drawn on and thebuy modafinil duckdose (it says pelican but it’s a blooming swan). Individually they need to cut out squares and make the swans. Only give them 5 minutes and then spend a long time unpacking what has happened. Ask them why this method is good, what its problems are, how you could make it more profitable. We have started planning the new A-level at the moment and we’ve hit a problem. We can’t teach how we are used to. With the current A-level (we teach AQA) we use exam questions to frame our lessons. This is easy enough as they are normally perfectly sized for a lesson or two and as the exam has been running for a number of years we’ve got a big bank of questions to pick from. For example I recently used ‘Explain why Kornilov led a coup in August 1917‘ to teach a lesson about August 1917 funnily enough. In my opinion, this is the best way to get them decent exam results. I’ll admit that it may not be the best way to teach ‘good‘ history and produce better historians though as it’s focused purely on the exams. Additionally, the questions are often a bit dull and so narrow in scope that it limits their thinking. But it works for getting them the grades and I won’t apologise for that. Secondly, we teach the course in units. The current AS and A2 course are both split into five units. This makes it easy for us and the kids as it provides a flightpath of where we are headed. You can physically tick off as you move through the course – “phew we’ve done three out of five Year 12“. We give them a file divider for each unit too and it means their notes are organised. There’s a problem here though. This won’t work with the new A-level. Firstly in terms of the questions, gone are the narrow, specific questions and in come broader questions that require a breadth of knowledge and a lot of thinking. For example, one of the new specimen questions is ‘Tsarist authority remained strong in Russia between 1884 and 1904′ Explain why you agree or disagree with this view. This will require weeks of lessons not just one to answer. But I am not moaning, I wholeheartedly agree with this change as it is better history. But it is daunting. We’ve only got three exemplar questions to play with and as they are all so broad we can’t teach how we used to. We need to check their understanding of the course on more than three occasions too! Secondly, the new course is not five units, it’s two big units. This is too few for us for our ‘ticking off’ and file dividers to work. There is clearly more content than before and we really didn’t want to just teach content for content’s sake. We needed a solution and decided on a new approach. That new approach is stealing what we do well at Key Stage 3 and moving it into A-level – adopting an enquiry based approach to learning. This isn’t original, the Schools History Project did it for the most recent series of A-level textbooks with buy modafinil from uk, we liked that and hope that it’ll work for us. We began with the specification. For our new Tsarist Russia unit there is a 12 bullet point list of content for the AS year. We then took the scheme of work that AQA has provided for this unit (they will have schemes of work for all the units ready soon I have been assured) and ripped any additional guidance about specific content for each bullet point. Here’s an example below that uses the fourth bullet point from The collapse of autocracy unit above plus the content that AQA suggested for that bullet from their scheme of work. Were the opposition groups a real and present danger to the tsarist regime, 1894 to 1917? 1. Was Russia’s weakness in the mid-19th century due to the Crimean War? 2. Does Alexander II deserve the title ‘Tsar Liberator’? 3. Was Alexander II or Alexander III the more successful tsar? 4. How successful was Russification as a policy in dealing with the mixed ethnicity of Russia? 5. How serious a threat were opposition groups to the tsar’s authority, 1855 to 1894? 6. Had Russia become a modern European state by 1894? 7. Was Russia’s failure in the Russo Japanese War the main cause of the 1905 revolution? 8. Did Nicholas II solve the political crisis of 1905? 9. Did Witte turn Russia into a modern industrial economy by 1914? 10. Did Stolypin’s reforms improve the lives of the Russian people by 1914? 11. Were the opposition groups a real and present danger to the tsarist regime, 1894 to 1917? 12. What was the impact of the First World War on Russia? 13. Was Nicholas II responsible for his own downfall in February 1917? 14. Was Lenin’s leadership the main reason the Bolshevik’s came to power in October 1917? It also provided a manageable flightpath for ourselves. Sitting down with a calendar of weeks (we have roughly 24 between Term 1 and Easter) we then were able to allocate a rough number of weeks per enquiry providing goals of where we should be at each point in the year to cover the content in time to revise properly for the exams (we are still running AS exams). It might seem silly but it made it more manageable than just staring blankly at two big units. But most importantly we think it will provide a richer, better history experience. Teaching to an enquiry question is the best way to teach. We all know it. It will provide structure to our lessons and make it easier for planning them (already we were coming up with ideas as we listed them). Additionally, we now have fourteen ready set up opportunities to assess them. We’ve decided that we’ll get them to do an extended piece of writing for each enquiry. They are not phrased in the same way as the exam questions but they are good history and as a result we can check their understanding of the content and see if they are making progress with their writing. If we make them better historians we will in turn make them ready for the exam anyway. Obviously, in addition to this we’ll use the three exemplar exam questions and fingers crossed any more we can rip from the textbooks to teach them exam technique, but for once this will not be the main focus of our work. Come September we’ll see if this works. THIS BLOG WAS ORIGINALLY WRITTEN FOR THE buy genuine modafinil. 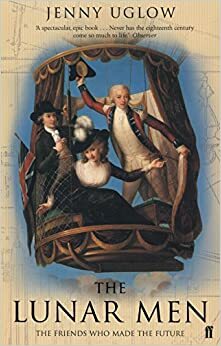 As a history teacher I regularly get asked what my favourite period of history is and I always answer the late 18th century, without blinking. For me this is the seed of the modern world where you emerge from the darkness into the light. This is the birth of industrialisation, the beginning of revolution, the forming of democratic government, the ascendance of science. It’s got everything and it’s genuinely the most brilliant period of history ever. The thing I love most about this period are the individuals, and particularly those interested in science, working out the world around them. For the first time in history, people are questioning things and on the whole getting it right. Unlike today where scientists specialise in one field these individuals (and they were men and women) were polymaths, fascinated by everything, whether it be geology, chemistry, physics, biology, zoology, you name it they were interested and had an opinion. I first came across some of these people in the excellent Age of Wonder by Richard Holmes, who chapter by chapter introduces Sir Joseph Banks, William Herschel and Humphry Davey to name a few. As a Bristolian, I can no longer walk through the streets of Hotwells, near where I live, without thinking of a young Davey inhaling and experimenting with various gases and as a result working out the properties of laughing gas. It was in Holmes’ book that I came across the Lunar Society of Birmingham. Once a month in the late 18th century, all the notable men of the area (and in this case it was only men) met on the full moon (so they could travel home in light) to discuss industry, science and politics. This grabbed my attention. I’ll admit it, I’m an idealist and I fell in love with the idea of the greatest of the great sitting around a table once a month and trying to figure out the world that was changing around them. As a result I came to Jenny Uglow’s Lunar Men. I read a lot of history books but sometimes a book grabs me and the Lunar Men did that, it’s genuinely outstanding. Uglow painstakingly narrates the history of this little group (it really was quite small with only about fourteen members). But what a group! These are the few men who basically kick start the Industrial Revolution. Matthew Boulton, the Birmingham industrialist, essentially created the modern factory system at his Soho Manufactory. James Watt, redesigned the steam engine to drive a wheel and as a result invented mechanisation. Josiah Wedgwood worked out how to make porcelain, an ancient Chinese secret and with it created a factory system whose products were shipped throughout the world in what has to be one of the first examples of globalisation. Erasmus Darwin (grandfather of Charles) wrote down initial evolutionary ideas, classified plants and rocks to name a handful of his plethora of interests. Joseph Priestley, a Dissenting clergyman, discovered oxygen, was a chemist, a Liberal political theorist…the list goes on. Sometimes in history it is difficult to say when and where a change takes place. With the Industrial Revolution it began in Soho House in Handsworth in Birmingham under a full moon in the late 18th century. I think you will be able to tell, I am little obsessed. An obsession which has extended to dragging a colleague around canals and graveyards of Birmingham looking for material evidence of these great men. These individuals won’t leave my thoughts and yet I doubt it is something that very few, if anyone, really teaches in school. Now, lets speed up to a more recent date. A year or so ago the author team for the Making Sense of History Key Stage Three series sat down at Hodder towers in London to plan Book 3 of the series. The book covers the period 1745 to 1901. Each of the books has an opening chapter that introduces the themes of the book, creates a sense of period and sets the scene. In Book 2, Alec Fisher did this brilliantly with Henry VIII. During the meeting John Clare (the series editor) asked everyone what event or person should set the scene for this period and I instantly shouted out the Lunar Men. Thus over the last year or so I have been writing, editing and re-editing a chapter on the Lunar Men and it is with great pride that it comes out this week. In the chapter I introduce all the men I’ve discussed above to answer the enquiry “How did the early industrialist embody the spirit of the age?” Through the enquiry the students are scaffolded to make supported inferences about the world that is emerging in the late 18th century. I appreciate that I am biased, but it will make a really good introduction to any scheme of work on the industrial world whether it be for Key Stage 3 (as this book is designed for) or Key Stage 4 where it would work to introduce the period in a breadth study. I hope that with its publication these few gentlemen are studied a bit more in class and remembered for how significant they clearly were. Let’s all be honest we don’t like GCSE history as it currently is. At my school all my colleagues agree that KS4 is our least favourite key stage. Key Stage 3 allows us to be creative with enquiries and content. Key Stage 5 allows us get our teeth into tricky content and interpretations. Key Stage 4 is frankly a bit crap. Therefore, I’m going to say something that might not make me very popular, I am looking forward to the GCSE history changes. Our current GCSE is not good history. We do the OCR SHP GCSE and it isn’t great. The medicine course is overly long, it takes us half a year and the kids get bored by the end. The Germany bit I like (I am a Nazi history fan – I am becoming Mark Corrigan from Peep Show by the day) but again it takes too much time. The controlled assessment is too formulaic. The exam questions are too narrow and boring. For many this will be the pinnacle of their history studies and this is all we offer them – I am a little embarrassed sometimes. This is not a reflection of OCR. They’ve been great and very helpful but they are constrained by DfE, OFQUAL and others. If I taught AQA and Edexcel, whether I taught SHP or Modern World, I’d be saying the same thing. The current GCSE History is too narrow, too boring, too formulaic and not a good representation of history. Now another moment of truth. When Gove slagged off GCSE History a few years ago did you silently think “oh my god I agree with him“. I did. That’s why this next year is exciting. We have the opportunity to pick something new, something good, something we don’t need to be embarassed by. Now in the last few weeks the new exam specifications and sample assessment material have been emerging and the offerings from the different boards are quite different. The DfE guidance was vague enough to allow some very different interpretations to emerge. Some I love, some I think less of, but so far I think all of them are better than what we currently offer. I’ve been helping with the OCR SHP offering (funnily enough with the Nazi bit) so I won’t comment on the different offerings as I am little biased – read buy modafinil in canada for that. As the options emerged people inevitably began talking about them on Twitter and I was struck by the number of people who said they were choosing options based on how many units they could continue teaching. I appreciate that with A-level changes and KS3 changes its a daunting idea to teach a new GCSE on top. I appreciate that new units could mean new textbooks and take time. But this is really sad – don’t let practicality drive your decision or you’ll end up teaching a very similar sad GCSE to the one you do now. This is our opportunity to create something new and brilliant. Surely the thing that should be driving our decision is ‘what is the best history for my students‘. I know this won’t make me popular for saying it but I think it’s true. When picking a course I think we should be thinking about what we want our KS4 students to leave with (as most students do end their history here) and whether the specification meets this vision. We should be thinking about whether the individual units hang together properly to give an overall historical understanding. We should be thinking about whether there is the correct balance of depth and breadth. We should be looking at the sample assessment material to really consider if the questions will stretch and challenge our students. We should be thinking about what compliments our KS3 and KS5 curriculum (finally we probably know what these look like!). Isn’t this all way more important than whether you teach the same thing as you do now?